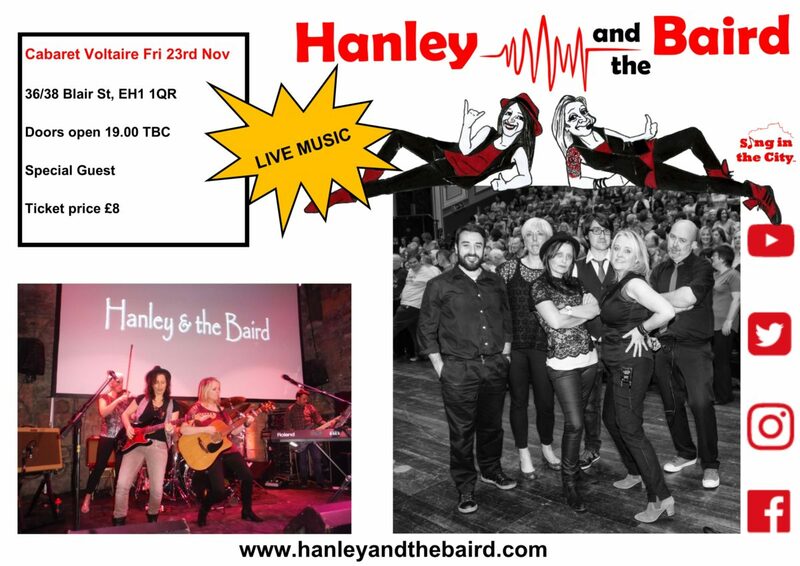 Hanley and the Baird band found themselves with a free weekend in November after a busy run with Sing in the City shows. So they decided to squeeze in a gig of their own. Come and see the girls (and guys) at Cabaret Voltaire on Friday 23rd November, only £8 on the door. They will perform original songs and covers in this 200 capacity venue. Tickets available from the band at various rehearsals, from band members or sold on the door.